This post is part of a series on sleep based on a Face & Body Southeast Spa Expo and Conference presentation given by Trish Greene of Balnea Spa Products. Read the previous post in this series – Sleep Better Series – What’s the Big Deal? So we all know we need to get more sleep but how do we manage that? For me there is just no way to go to bed before 10 pm. Some nights I don’t even get home from work until after 8. By the time I make something to eat and settle in, it is really time to go to sleep. My weekday mornings start with an alarm at 530 so I can hit the gym or yoga at 6am. I don’t do this because I am a morning person, I do it to help my mental state and I do think it helps me sleep better. Go to bed by 10pm. Wear comfortable clothing to bed. Do not bring work related material into the bedroom. Do not have TVs in the bedroom. Avoid EMF’s. Electromagnetic frequencies can disrupt the flow of Melatonin. Turn your thermostat down a few degrees before heading to bed. Most people sleep better when their surroundings are cool. This is me for sure. I like for it to be very cold at night and pile on the soft, fuzzy blankets. When I get the new system installed in my house the temp will automatically start to get warmer in the morning so it helps me get out of bed and moving. So are you doing any of these now? 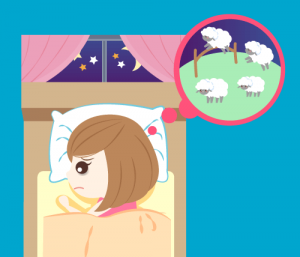 Are there things that you could be doing to help you sleep better to ensure that you are staying as healthy as you can? Tell me how you are doing or one thing that you plan to do after reading this post. For me, I do most of these except EMFs which I will be checking into more. It’s hard to be in bed by 10pm when sometimes I don’t get home from work until after 8, but I do the best I can. Stay tuned for our next post in the Sleep Better series, which will talk about light and dark. This information was given by Trish Greene of Balnea Spa Products. She is a Board Certified Aromatherapist, Dr of Homeopathy and a Cidesco trained Esthetician. She practices in Canada and has been an Eve Taylor rep for 25 years. All the crazy legalize stuff I need to say. Consult your physician before taking anything suggested in this informational piece. I am not a Doctor, I am simply sharing the interesting information that I learned at a recent class. Do anything at your own risk, use common sense, and try to get some healthy sleep. No one is responsible for the choices you make except for yourself. None of us are responsible for anything you choose to do on your own accord.